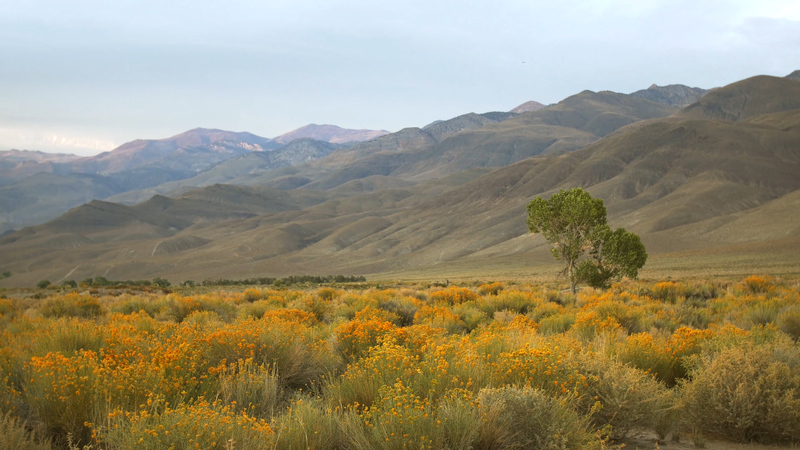 Mike Maxwell recently finished a ninth season studying the love life of the praying mantises that live around Bishop, a town in California’s Eastern Sierra. Over that time, he’s seen some unsettlingly strange behaviors. 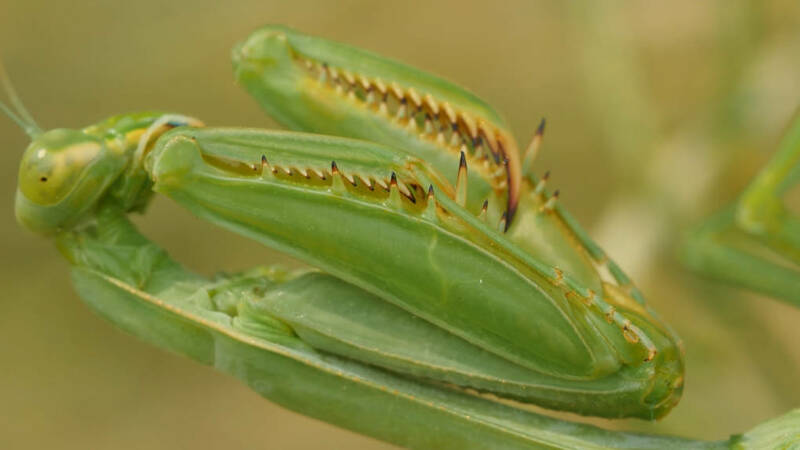 It’s pretty common knowledge that female mantises sometimes eat males during or after mating -- a habit that biologists call “sexual cannibalism.” But among the bordered mantises that Maxwell researches, it gets weirder than that. As it turns out, when a male mantis loses his head, it doesn't mean he loses the urge to procreate. You read that right. 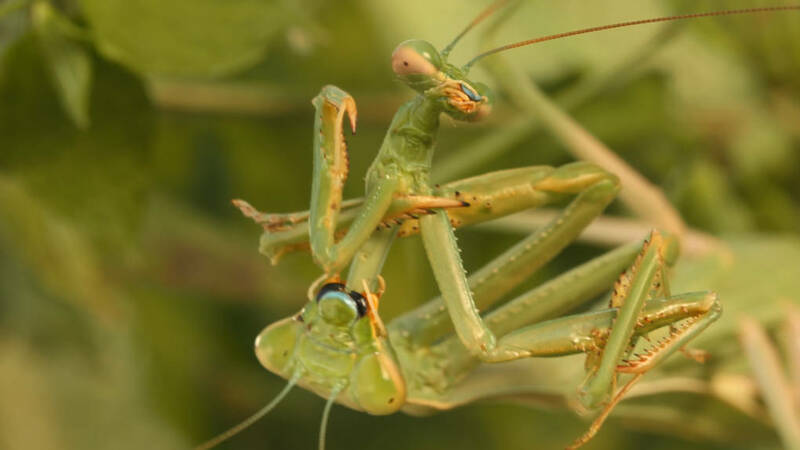 Not only can some male bordered mantises continue mating even while being attacked by their female counterparts, some males are able to mount a female and initiate mating even after getting their heads completely bitten off. Both male and female mantises are ambush hunters. They typically rely on their camouflage to hide, and then they grab prey with their lightning-fast, spiky forelimbs. And once they have a firm grip on their dinner, they use their powerful mandibles to munch away. Biting the head off of their prey is a favorite technique for hungry mantises. 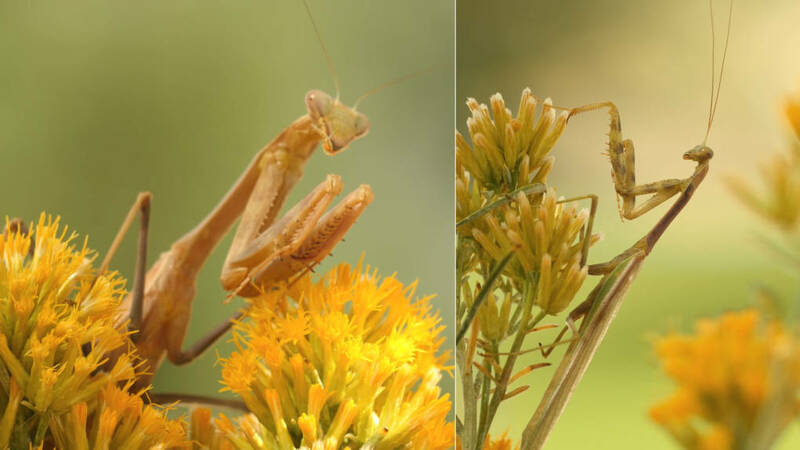 So when female mantises decide to eat an approaching male mantis, they tend to use a similar technique. Maxwell observed that in about a quarter of the encounters where a male approaches a female, he gets eaten. The most dangerous times for him are when he’s approaching the female and during the mating act itself. When they are done, if they survive, the males simply fall off the females or fly away. As a professor of biology at National University in La Jolla, California, Maxwell studies the underlying factors that cause these animals to behave the way they do. And one of them is: Cannibalism in nature is more common than people think. But cannibalism that occurs during mating is much rarer. According to Maxwell, only a few groups of animals, including mantises, spiders and possibly scorpions, eat each other at some point during mating. Sexual cannibalism typically only occurs in animals that are predators, because they have the equipment and predatory drive necessary to kill a potential mate. It’s also much more common when one of the sexes is significantly larger than the other. For mantises, the females tend to be bigger and much stronger. From an evolutionary standpoint, being eaten by your mate isn’t always a bad thing. For one thing, the mother of your offspring will be more well-fed and may therefore lay more and healthier eggs. And female mantises lay about 100 eggs in a single batch, so the father is replaced many times over. According to Maxwell, aside from cannibalizing their sexual partners, about a third of border mantis females also mate with multiple males throughout the breeding season. The research has left Maxwell with questions. Maxwell thinks that by mating with multiple males, females may be able to create more genetic diversity among their offspring. That can be a good way for females to hedge their bets in an uncertain environment. 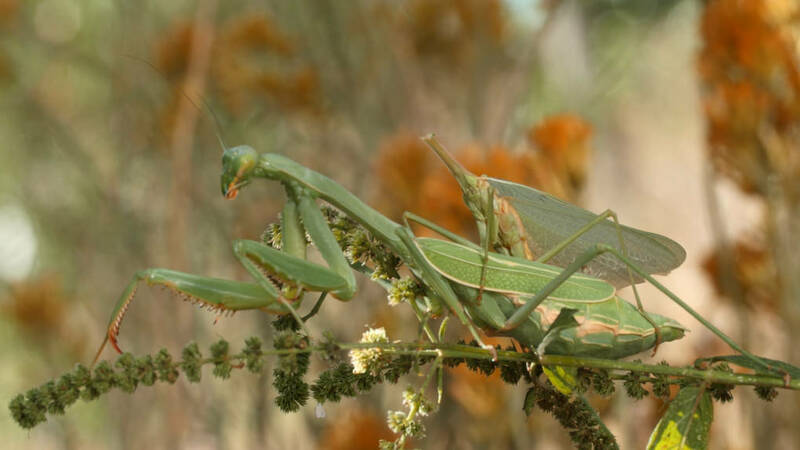 A big key to understanding the mantis mating strategy would be to find out which males are actually fathering the female’s eggs when she mates with more than one male. To find out, Maxwell captured mantises during the mating season and set up controlled matings in which he could track which mantises mated. About two weeks after mating, females lay their eggs in a rigid, foamy structure called an ootheca. 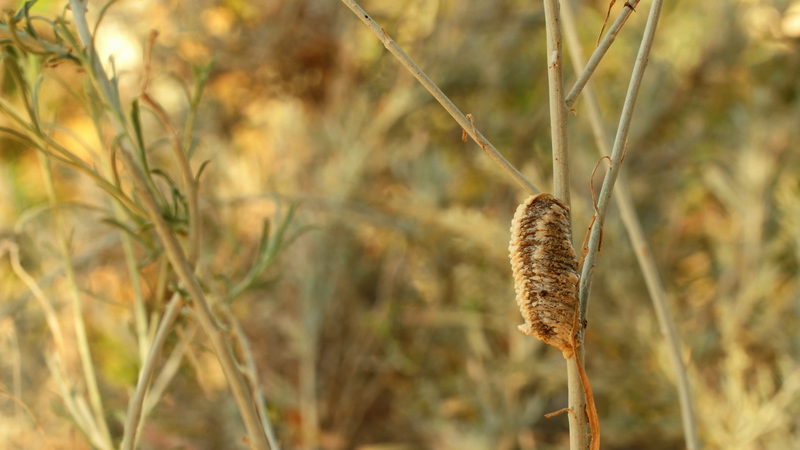 The eggs overwinter inside the ootheca and hatch in the spring. Maxwell collected the eggs that resulted from theses supervised matings and plans to study the genetics back in San Diego to figure out which males fathered the most eggs. If it turns out that the eggs were fathered by both males, it could mean that female mantises mate with multiple males simply to get enough sperm to fertilize all of her eggs or to ensure variation in her offspring. If Maxwell finds that most of the eggs were fertilized by the first male, that might reveal that female mantises might mate with multiple males for another reason. One possibility is that they continue to attract multiple males in order to have additional opportunities to get extra nutrition by cannibalizing the later males.